The opera ‘The Magic Flute’, one of three most famous works by Mozart, the greatest musical prodigy in history of the world music, will be presented to music lovers at the Ho Chi Minh City Opera House on March 31. The opera will be sung in German, with the dialogue spoken in Vietnamese by artists of the HCMC Ballet Symphony Orchestra and Opera (HBSO). It is directed by Franco-German opera director David Hermann and conducted by Tran Nhat Minh. 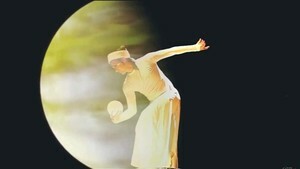 In 2014, The Magic Flute was performed in full length and in original language for the first time in Ho-Chi-Minh-City as a German-Vietnamese cooperation. With its high artistic value and its musical and theatrical appeal, the opera has become one of the highlighted annual art events in Ho Chi Minh City. Mozart and Schikaneder were both followers of Masonry, a new pseudo-religion modeled on the principles of liberty, equality and brotherhood that had formed the basis of the French Revolution. So the new opera combined comedy and popular dramatic events with solemn rituals that were intended to introduce Masonry to the Viennese people. The Magic Flute’ was premiered in Vienna and conducted by Mozart in 1791, telling a love story between Prince Tamino and Princess Pamina, good and evil, passion and will. Since its premiere, ‘The Magic Flute’ has always been one of the most beloved works in the operatic repertoire, and is he third most popular opera worldwide, after Verdi’s La Traviata and Bizet’s Carmen.